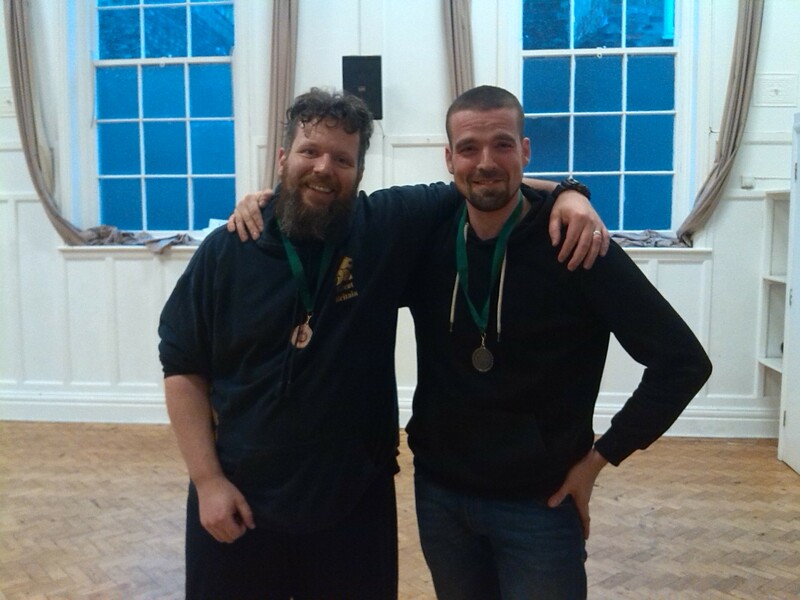 Not wanting to leave anyone out in club honours at York this weekend, there was an unofficial wrestling tournament at Spring Exchange that has just been won by School of the Sword student, Chris. 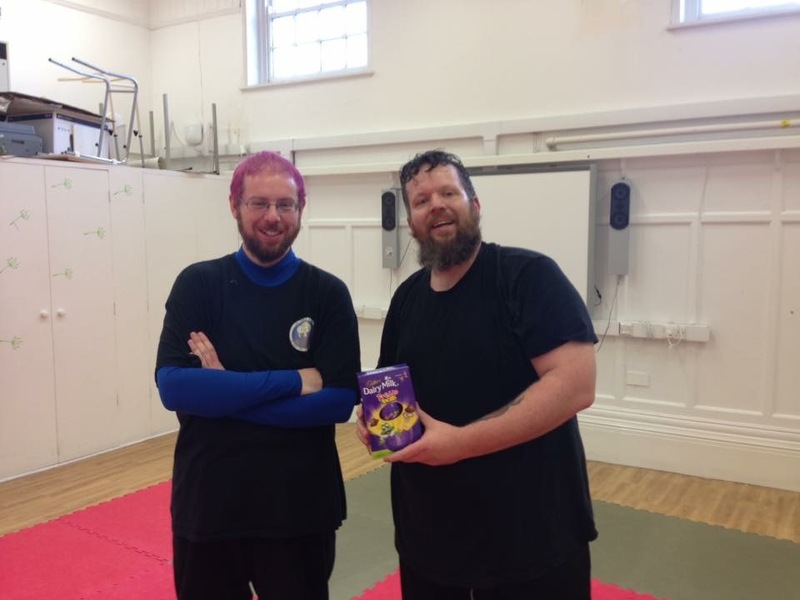 We’ve been sent this picture of him with his glamorous Easter Egg. We’re told he had to fight off more opponents than any of the other medal winners for that prize. By all accounts it sounds like everyone is having a great time in York at a very enjoyable event. 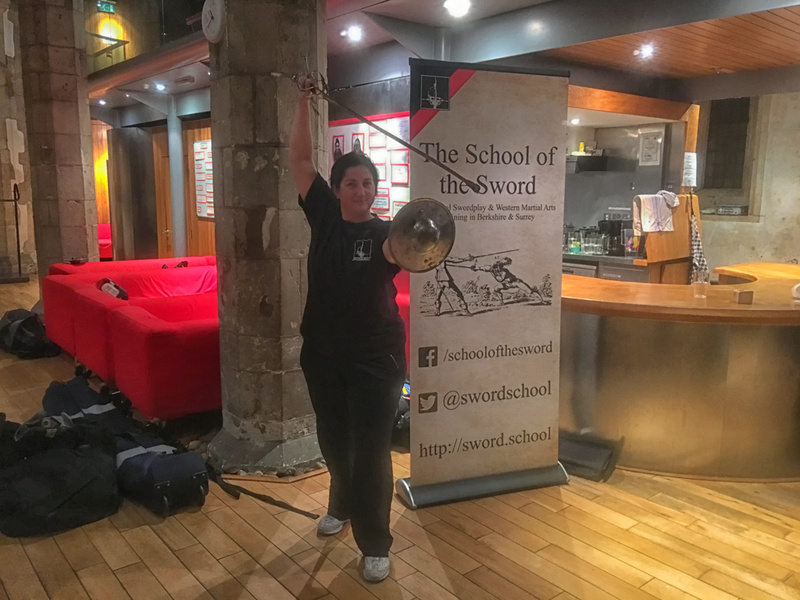 Word has just reached us of further wins by School of the Sword students at Spring Exchange 2016 in York this weekend. 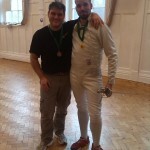 Congrats to Jay for taking Gold and Christophe for getting Bronze in rapier. 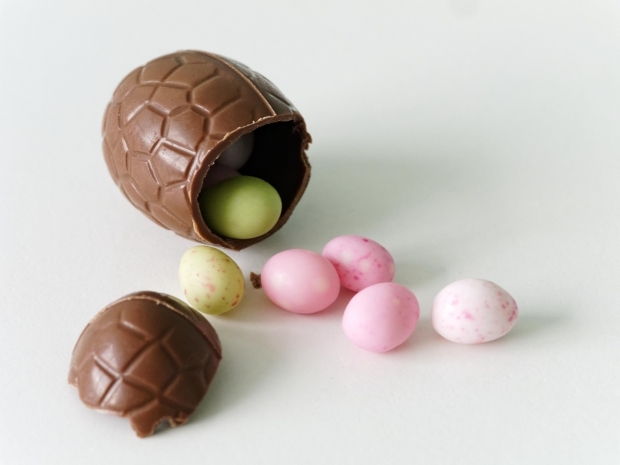 Reading students are reminded that this coming Monday is Easter Monday and as a result there is no Reading Training this week. We’ll be back the following week (4th April 2016) at our new venue at Academy Sport. 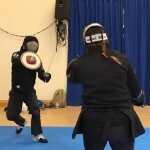 We’ll be starting some new training streams so if you’ve missed a few lessons and want to jump back in at the start of a new teaching block, it’ll be a perfect time to do so! 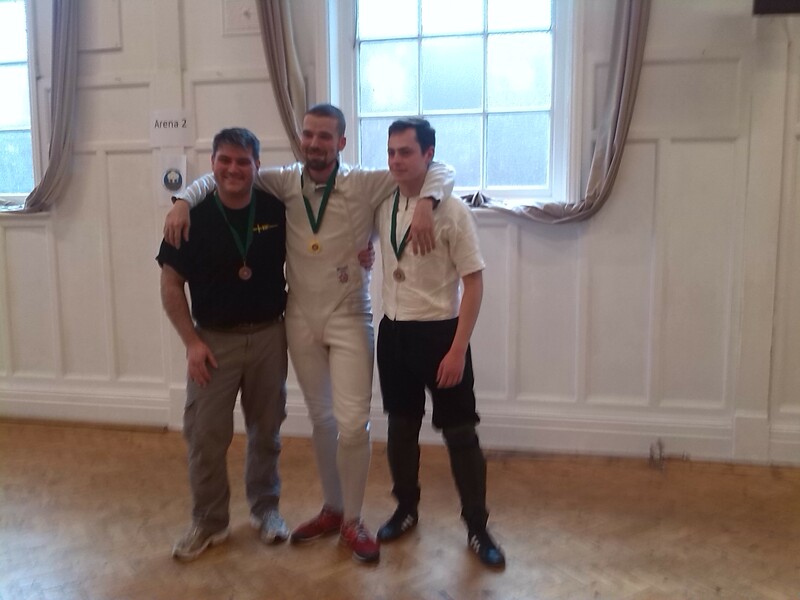 We’ve just received word that two of our students have seen wins in the Smallsword and Duelling Sabre tournament at the 2016 Spring Exchange in York. 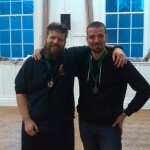 Congrats to Jay and Chris on silver and bronze in the tournament. 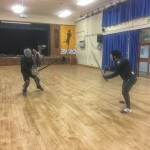 A busy night as always in Godalming on Wednesday with three training streams running. 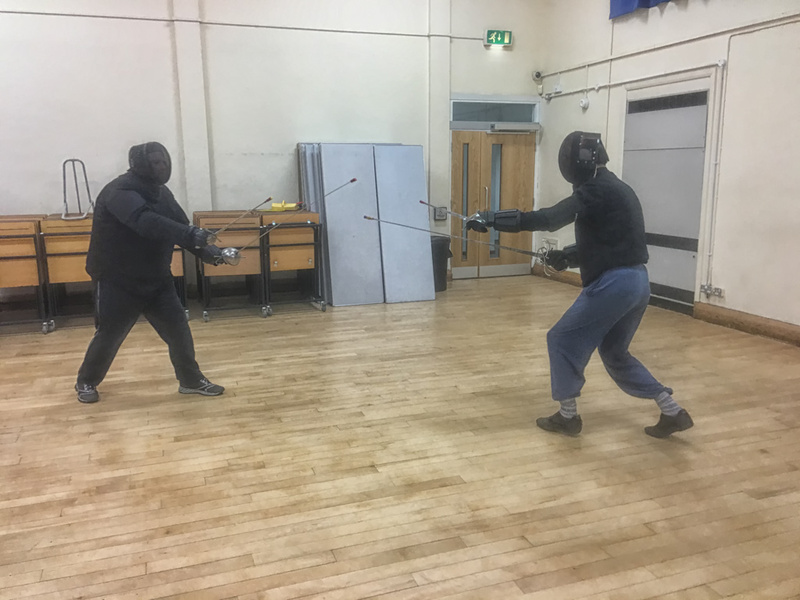 Fran worked with the beginners progressing toward safety test, Lizzie continued her very popular class on the use of the Montante / Spadone and Pim progressed with his classes on tactics in rapier & dagger. A fun night which left us feeling in need o liquid refreshment in the pub afterwards! 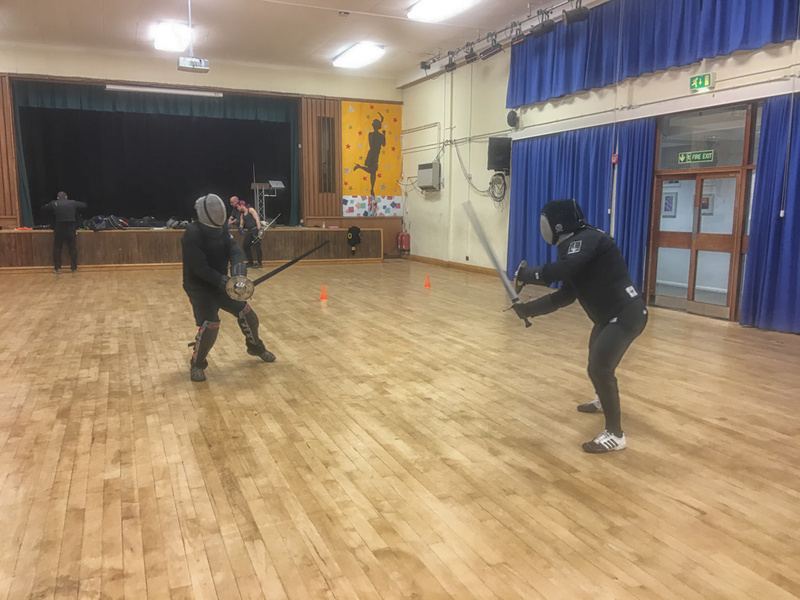 It was our final week at St Laurence before our move back to Academy Sport on the 4th April and as a result it was a busy session. 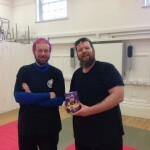 Lorcan worked with the candidati, whilst Mark took the Bolognese class. Others helped Matt with his process for onboarding experienced students into the school. 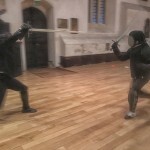 And there was still a little time for plenty of sparring. A great night with plenty of energy and activities going on. 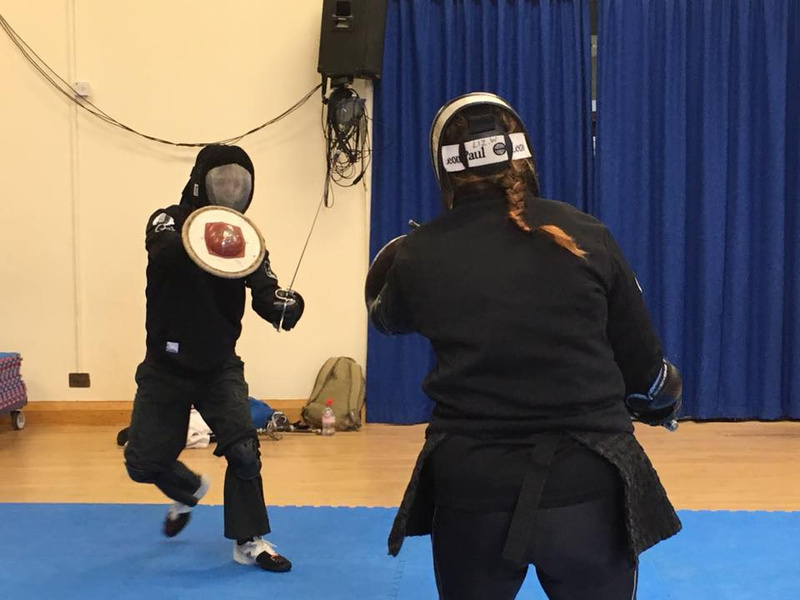 We never tire of seeing our students progress. It’s a sign of their hard work and dedication. 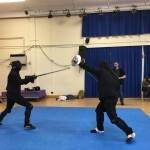 When students start as Candidati with The Sword of the School they spend many weeks working on the fundamentals, getting a solid foundation that will carry them forward as they progress through the school. To become one of our Studenti they have to pass our safety test. 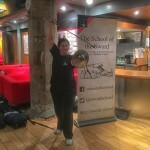 On Monday night, Sarah became the latest of our students to join the ranks of the Studenti. Congratulations Sarah! 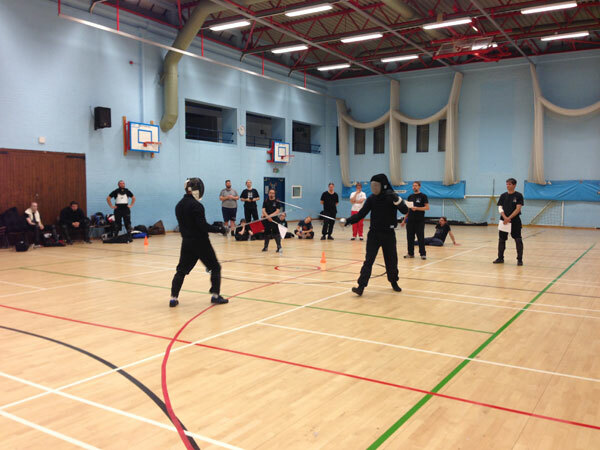 And remember our next beginners’ course starts on the April 4th 2016 at our new venue Academy Sport, Reading. We still have a couple of places left, so if you are interested in joining us, contact us now for more information. 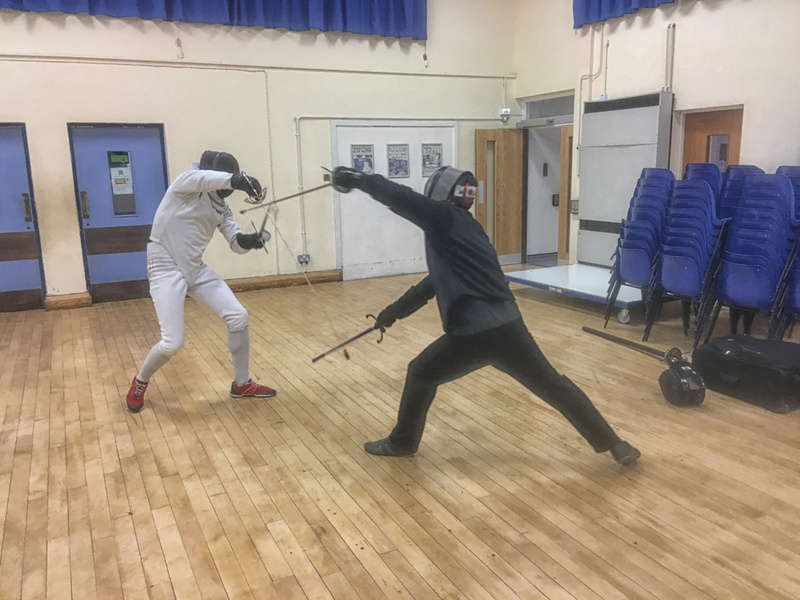 Members from The School of the Sword joined other schools from across the South-East in Godalming on Sunday for the Untournament. 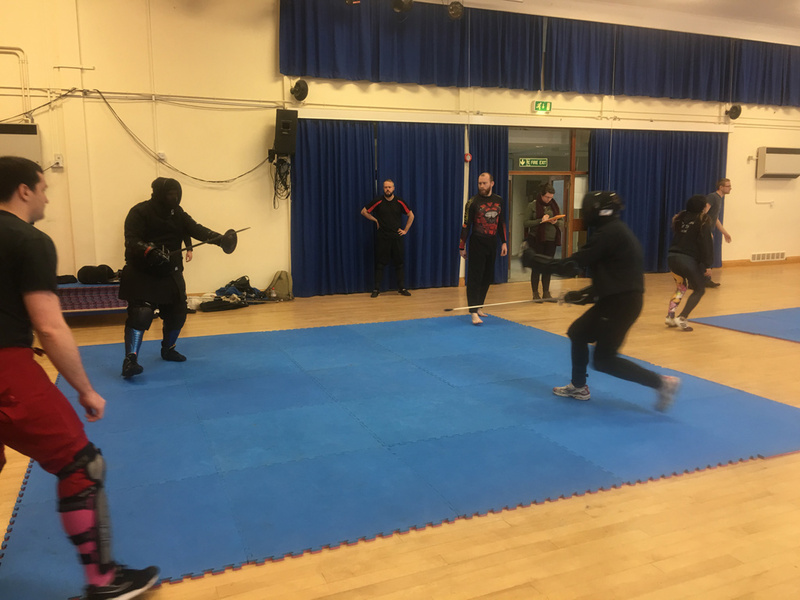 Designed as a practise session for judges ahead of the Astolat HEMA open, it gave participants the opportunity to practise their skills with longsword, sword & buckler, or rapier & dagger against one another under tournament conditions. 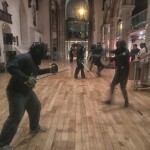 Everyone agreed it was a great event, with School of the Sword members taking home two of the coveted Unprizes of wooden spoons. 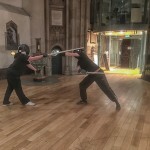 The School of the Sword will be heading to Greece this June, when instructor Piermarco ‘Pim’ Terminiello will be teaching a workshop at Hemathlon. 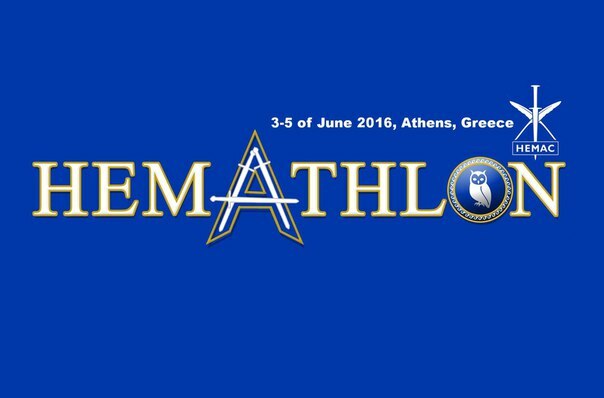 HEMAC HEMATHON is the first international open HEMA event in Greece. 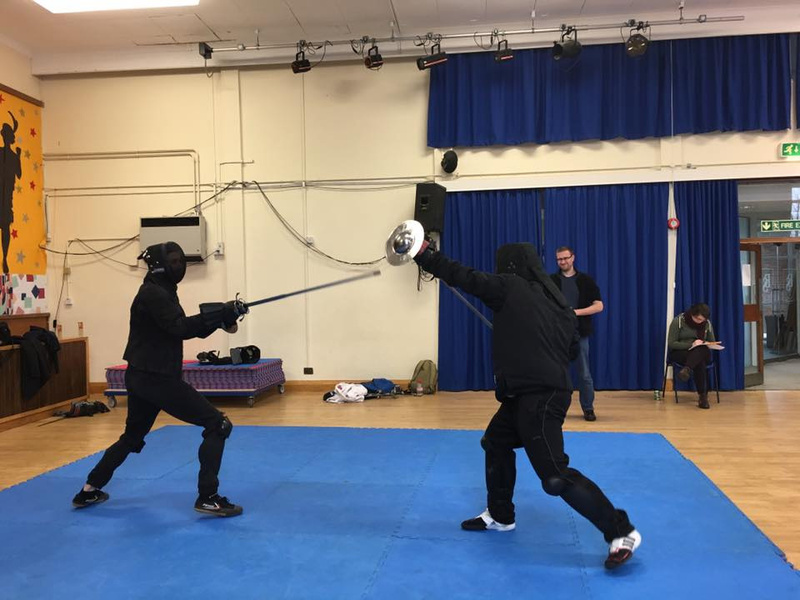 It will be held in the city of Athens from June 3rd to June 5th 2016 and will be hosted by the SC Academy of Hoplomachia with the collaboration of Sala d’Arme ‘Aquila Gladiatrix’, under the auspices of the Agency for Social Solidarity-Protection, Culture and Sport of the Municipality of Filothei – Psychiko. 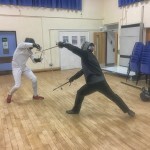 Pim’s workshop will be entitled “Manipulating Measure” and will look at closing measure from a lunge-orientated approach and passing footwork. For more details on the event, check out Hemathlon’s website. 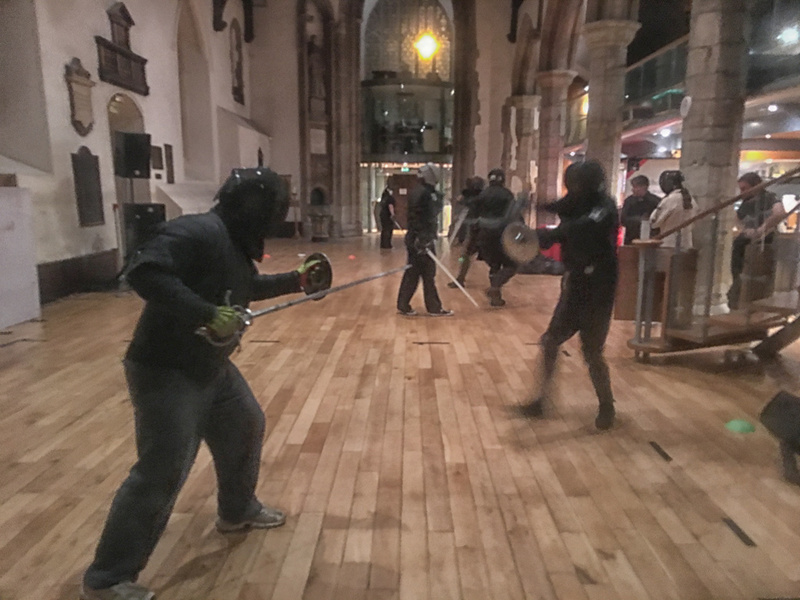 Over the last 18 months, our Reading salle has grown from a small study group of students to one of the largest sword fighting nights in the country. As a result, we’ve sadly had to limit intakes of new students into Reading to just a couple of times a year. Usually these 6 week Beginners’ courses have a huge waitlist, but we’ve currently got just a few spaces available for our next course which will begin on April 4th 2016 at Academy Sport, Reading. 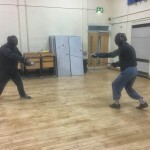 If you are in the Reading area, want to come join us and learn the fundamentals of sword fighting, then don’t delay and contact us now for more information. 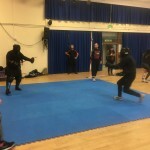 Note: That we do not have a waitlist at our Godalming salle and are actively taking on new members. Contact Godalming for details if you want more information.